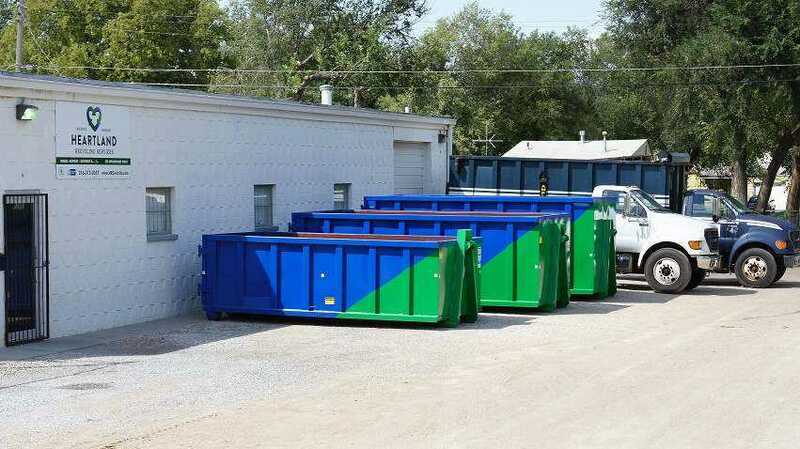 Heartland Recycling Services was founded in 2014 by Travis Baker with the goal of establishing Midwest’s finest, most efficient, and eco-friendly dumpster rental company. 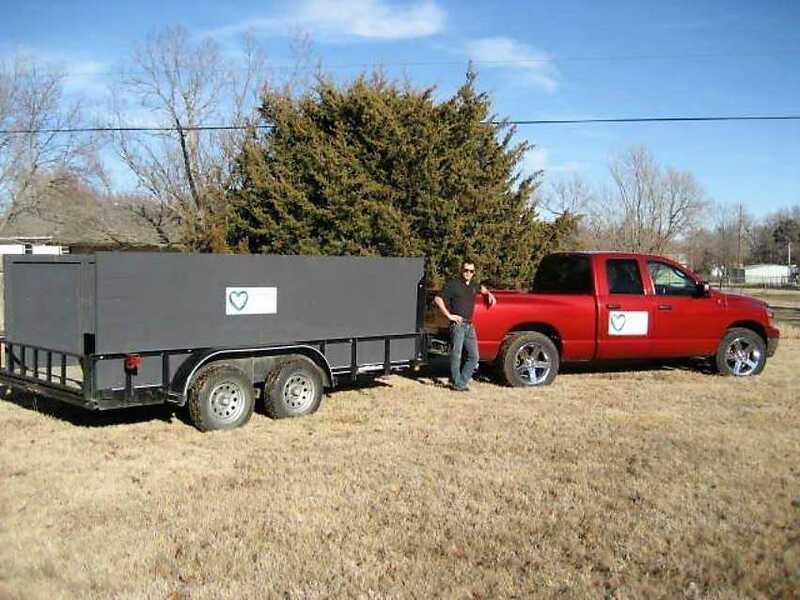 Travis’s dream was to provide affordable, creative ways for homeowners and businesses to dispose of their junk in the Midwest. In addition, Travis has always had a passion for preserving our environment and marveled at the idea of building Kansas’s first fully automated waste-sorting and recycling facility. Travis knew the place to start was at the bottom and work his way up. With a small pick-up truck and trailer, he started providing junk removal, trash hauling, and clean-up services for homeowners and businesses. He quickly earned a reputation for being professional and offering waste removal services at a fair, affordable price. Demand for Heartland’s services quickly grew mostly through word-of-mouth – the best marketing a small business can ask for. Junk removal and clean-up began the business, but customers began to ask about junk removal dumpsters and construction dumpsters too. Throughout 2014, demand for Travis’s junk removal and dumpster rental services increased dramatically. Travis knew that his truck and trailer would not be enough to satisfy this increased demand for his hauling services. Instead of purchasing a larger trailer, Travis sought to differentiate himself by purchasing a large dump truck. This dump truck provided him a competitive advantage because it is the largest single vehicle (by volume) providing specialized junk removal and property clean-up services in the Midwest. Travis also acquired a dump trailer that he rented to customers that wanted to load their materials themselves for a cheaper cost. To Travis’s surprise, this dumpster rental option became a very popular choice for his customers. He quickly realized the potential of his dumpster rental service and planned to improve this idea in 2016. In 2016, Travis knew a big change was needed to provide his customers with the best junk removal and dumpster rental services possible. Heartland Recycling Services’ first recycling facility was opened. Travis leased a small building to store his equipment and provide his customers the option to drop-off their junk. With the intention of improving his dumpster rental services, Travis also purchased a dumpster delivery vehicle and roll-off dumpsters of various sizes. Instead of improving upon his own dumpster rental services, he decided to improve on the industry as a whole. 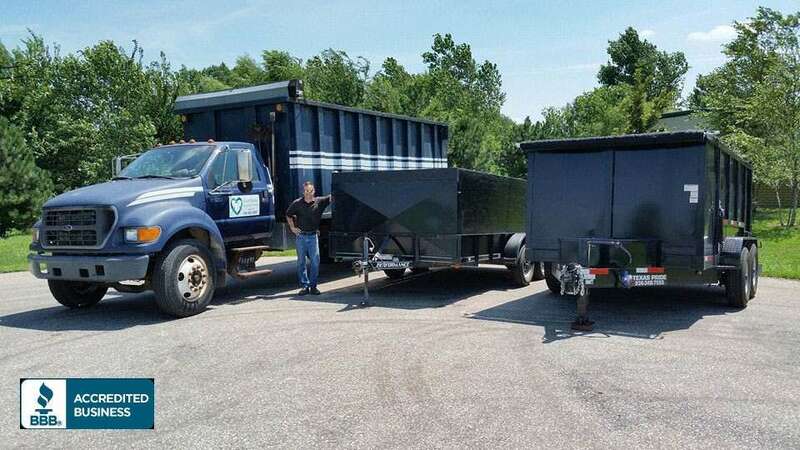 Recognizing that roll-off dumpsters have the potential of damaging the surface they are placed on, Travis decided to have these dumpsters custom manufactured with rubber wheels instead of steel. These rubber wheels adsorb friction much like a car tire and are better suited for paved surfaces. For his progress and outstanding reputation, Travis earned the prestigious Better Business Bureau Accreditation in 2016. Travis continues to focus on the needs of his customers, future growth and finding creative ways to lead his industry into 2019. Heartland Recycling Services’ mission is threefold. Our first responsibility is to ensure the financial well being of the business. Secondly, to provide the best service possible, at the best price possible. Thirdly, to keep as much waste out of the landfills as we possibly can.